Liberty Lift’s management team has more than 125 years of experience in the artificial lift industry, and it shows. We have an office in Williston to provide the best service for the Williston Basin and prolific Bakken shale play. Our well stimulation technologies get the most out of every oil and gas extraction operation, backed by a combination of industry-leading engineering and design. Liberty Lift’s dedication to the field is marked by its total availability, with 24/7 installation, service and repair being a perk we offer to all of our clients. Liberty Lift’s stimulation and lifting solutions are some of the most well thought out the industry can offer. Every well poses its own difficulties, and Liberty Lift’s array of pumping units can overcome those difficulties with unmatched efficiency. Each one is manufactured to exceed API 11E specifications and maximize production during a well’s life cycle. And because smart manpower allocation is a constant concern for oil & gas operations, Liberty Lift prioritizes simplicity as well, with pumping units that can be handled by an operation of any size. Liberty Lift is a leader in artificial lift system products, offering extensive knowhow and experience for the oil & gas industry. Well pressure management is our drive, and Liberty Lift has the design, manufacturing and installation prowess to make good on that drive. Our technologies offer an optimal combination of durability and efficiency, ensuring maximum cost effectiveness. 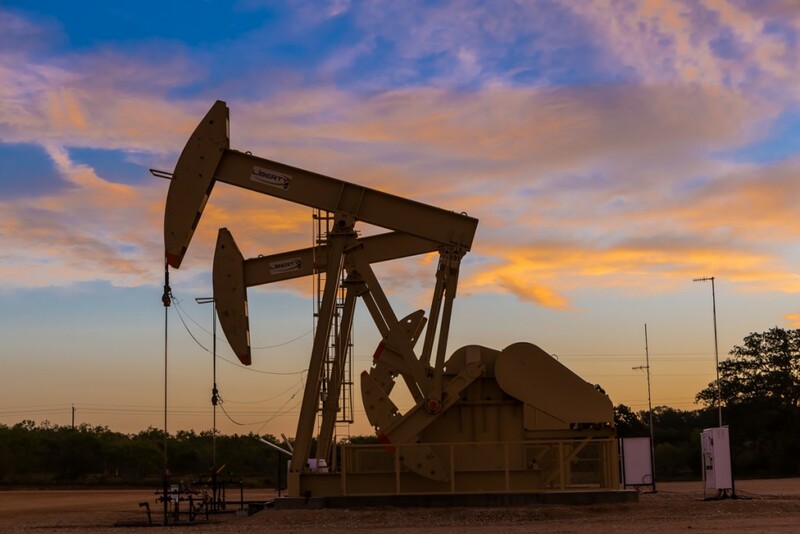 Liberty Lift designs and manufactures several product lines, including the tried and true beam pumping systems that are practically symbolic of oil & gas. In addition to beam pumps, we also manufacture hydraulic jet pump units, which are ideal for deviated or horizontal wells, gas lift systems and our XL Long Stroke. As Liberty Lift’s engineers drew up all of the XL Long Stroke’s designs, we can provide unmatched support for the efficiency-optimizing technology. In fact, all of Liberty Lift’s oilfield services are backed with the kind of rapid response and always-available support that oil & gas companies should expect from their technology partners. Delivering on expectations is what Liberty Lift does best. When operating a well, pressure is the point. It’s not always easy to control, and when there’s not enough of it, there’s not enough flow either. Liberty Lift’s mission is to undo this obstacle and restore optimal production to slow flowing wells. Our pumping units are designed and manufactured for every depth, every flow, onshore or off, and can serve admirably in deviated or horizontal wells. And all of Liberty Lift’s technology is installed and serviced by a support team that is always there, day or night, rain or shine. Oil and natural gas lift technologies are intricate, involved technologies, so they need to be supported by a talented team. Liberty Lift, as a leading designer and manufacturer of artificial lift systems, can provide that team. Our service professionals are the glue that keep our clients’ projects flowing, ensuring optimal production at every stage of the well’s life cycle. Pumping units are exposed to some of the harshest work environments imaginable, and are expected to provide around the clock and around the calendar reliability. Liberty Lift’s experienced support staff can do everything possible to make that happen, and to support every client’s lift operations. Liberty Lift has several facilities operating out of major U.S. drilling regions, and here our team can handle a project of any size. Testing, repair, component fabrication – we can manage it all. And when services are required in the field, our personnel will do what it takes to get well production back up. With maintenance, inspection, component replacement, system optimization and unit installation capabilities, Liberty Lift can keep our clients’ projects on schedule. There are plenty of pump unit manufacturers, but not many can match Liberty Lift’s design, engineering and support capacities. With all of those in place, we can develop and implement custom artificial lift solutions for our clients, ensuring they get a cost effective, reliable system. Between our beam pumping units, gas lift systems and hydraulic jet pump units, we have a pump that can fit any well, no matter how deep it is, how low the well’s flow is, or whether the well is deviated or not. In short, oil & gas companies have wells, and we have solutions. Beam pumping units are the old reliable workhorses of the artificial lift world, built to be as rugged and efficient as possible. Liberty Lift takes those natural traits and enhances them further, with a pair of beam pump unit designs that can fit into any well operation. Our beam pumping units are designed by Liberty Lift engineers and manufactured in house, built to beat API 11E and API quality standards. Our beam pumping units are available in two designs, a High Efficiency (HE) model and Enhanced Geometry (EG) model. The HE is capable of 186 degrees of rotation while the EG, with its optimized engineering, can manage up to 192 degrees of rotation. Both are built with high strength steel bearings, designed for minimal friction and extended performance. Liberty Lift bearings and shafts are constructed with an oversized design, allowing for superior safety factors. And that is Liberty Lift’s mission – to engineer superior beam pumping units that allow for optimal safety, reliability and efficiency. Gas lift systems are a critical artificial lift technology, as they can operate in wells that would stress most other pump units. Liberty Lift’s artificial gas lift systems also provide this level of versatility, as well as the cost effectiveness that comes with working with our team. Wells that have issues with solids and deviated or horizontal wells are ideal candidates for gas lift technology. That being the case, Liberty Lift’s gas lift technology can provide excellent cost effectiveness in challenging environments, like the Permian Basin or on offshore rigs. Our gas lift systems come with all necessary gas lift mandrels and valves, and can be purposed for continuous or intermittent operation. Liberty Lift can also configure its gas lift technology for tubing and wireline retrievable applications, making maintenance a much more efficient affair. And our gas lift systems are marked by their ease of use, with few moving parts and simple interfacing that won’t over-complicate a rig operator’s job. Liberty Lift’s XL Long Stroke technology is an instant productivity booster, though it is valuable for other reasons, too. With the XL Long Stroke’s 306-inch stroke length, greater fillage and greater volumetric efficiencies are possible, as well as significant safety and durability benefits. The XL Long Stroke unit comes standard with safety tie-offs at all access points, caged ladders and an emergency braking system, among other safety features, making it a secure piece of iron to work with. The technology is easier on the equipment, too, as its reduced cycling frequency puts less stress on bottomhole components, including the valves, in addition to the rod string. The gas compression ratios here are also enough to generally eliminate gas locking. Liberty Lift’s engineers are responsible for drawing up and designing the XL Long Stroke unit, and our top flight support team is responsible for keeping them running optimally. As such, the XL Long Stroke will serve admirably during every stage of a well’s life. Although Liberty Lift maintains an impressive array of oil and natural gas lift products, it’s what we do once those products are installed that makes us different. Liberty Lift’s goal isn’t to sell a pumping unit. Our mission is to meet our client’s artificial lift needs, both in the present and going forward. Liberty Lift designs, manufactures and installs pumping units, and then it supports those units over the years. The client’s needs change and pumping units age, but Liberty Lift is focused on keeping productivity up, no matter where the well is in its life cycle. In addition to innovative products and first-class support, we go above and beyond in striving to create the very best artificial lift technologies by partnering with other industry-leading companies. Such a collaboration helped create our hydraulic jet pump. Liberty Lift is among the top manufacturers in the artificial lift industry, and our collaboration with JJ Tech has amplified the advantage. The primary product of this collaboration is the industry’s best hydraulic jet lift system, which is ideal for use in deviated wells or wells with significant solids. Its efficiency in handling returning fluids makes it a frontline solution for frac operations. The Liberty Lift and JJ Tech hydraulic jet pump system is capable of pressures up to 5,000 psi and generates power fluid rates of up to 3,100 bbls/day. The surface pump is not exposed to volatile compounds or the environment, and can run without lubrication or with a closed or blocked suction line, indefinitely. The downhole pump is easily retrieved, either hydraulically or wireline, and maintained once retrieved. This is a versatile, reliable technology that can be adapted for use with any well and any operation. It is available for sale or for rent, and will maximize cost effective production during every phase of the well’s operation.